I like hops in the same manor that Ron Burgundy likes his scotch. I have them growing in my yard, I have more than two pounds in the freezer, and I over hop most of the beers that I brew. Based on that, there should be no revelation in the fact that American imperial ipas are one of my favorite styles. American craft beer number 340 was scored while attending the 2011 Beer Hoptacular!. Two Time, by Flossmoor Station Restaurant & Brewery, is a American double IPA. The grapefruit hops were laid on thick and greatly appreciated. Unfortunately I went back for more but this beer was already history. I will be calling the brewery to see if I have to call on the big gun, my Mom, to go pick me up a growler. The wife and I had a great time at the Hoptacular that drew 4,000 people over two sessions – probably too many as it was difficult to move at times. 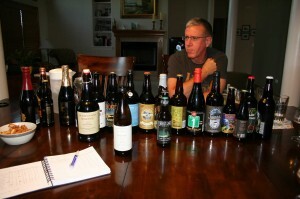 In spite of that we were able to try a good 15 – 20 beers. More to come on Beer Hoptacular!. Useless Fact: A man named David Rice Atchison was president of the United Sates for one day and didn’t know it. According to a nineteenth-century law, if neither the president nor the vice-president was in office, the president pro tem of the Senate became chief executive. On March 4, 1849, President James Knox Polk’s term had lapsed, and the newly elected Zachary Taylor could not yet be sworn in (it was a Sunday). So for one day Atchison was president. It was not until several months later that Atchison learned of this, as the law was then an obscure one. It has since been changed. Saturday found me in line at the Flossmoor release of Hi-Fi Rye. Usually releases at Flossmoor are rather subdued and showing up for a release is unheard of. Well this release of Hi-Fi Rye, the second, had Flossmoor decide they needed a ticket system. To make a long story short, they did. As it turns out, when I arrived at 11:30am, 30 minutes before release, I was handed ticket 237 and Rich ticket 238. Based on the number of cases, if everyone in front of us took their full allotment: six normal and six bourbon aged, we would have been left out in the cold. Fortunately that didn’t happen and we received what we wanted. Some 15 people or so after us, they ran out of the bourbon aged. Since my mood wasn’t that great (as I thought I wouldn’t get beer) my wife went and picked me up a snifter of Bourbon Barrel Wooden Horse. I really didn’t take notes, so the little I will state is from memory. There was a subtle tartness to the finish while the bourbon hit large, yet smooth. It might have drowned out the beer just a touch too much but other wise, per most of Flossmoor’s bourbon aged beers, this was just what the doctor ordered. Enjoy! Useless Fact: The Steel Phantom in West Millen, Pennsylvania, is the fastest roller coaster in America, reaching speeds of 80 miles (129 km) per hour. Tuesday Night Beer Club (TNBC) met for the first time in almost three months last night at my house. Yes, I know it was Thursday but Shawn found his way to captain a softball team that plays on Tuesday nights. There were five of us, with the fifth being Rich filling in for two others that couldn’t make it. I always anticipate TNBC and last night a little more than usual. Since I was the host I get to call the theme for the evening. Nothing struck me so I opened it up wide for any and everything. Mark and Rich arrived first. 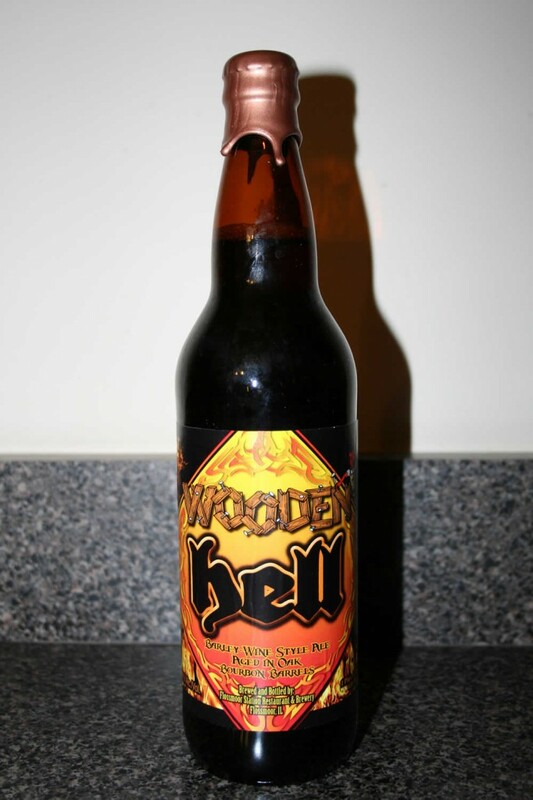 Opening his box full of liquid goodies I quickly noticed the bottle of Flossmoor Wooden Hell that was center stage. He had been talking about sharing this beast lately but I couldn’t believe that he was serious. He said that he wanted to share and that he wanted to drink it before it was past its prime. Of course I was able and willing to help but in the back of my mind I just wondered if this was going to be another over hyped rare beer that is only popular for its rarity. We ate dinner: backed Rigatoni that my wife made for us with salad and bread. The perfect dinner to coat and prepare for the onslaught of fine beverages to come next. Towards the end of dinner we had Shawn’s home brew that was a Furious clone. Really good, especially for a guy who has only brewed a few times. Since I hosted, I was first up. Below is the order in which the beers were chosen, by whom, and how I rated them. The rating is compared to each other with one being the best beer. Now I have to work on old Mom to go get me a bottle of it after release. Enjoy! Flossmoor Station Restaurant & Brewery announced they will be releasing .357 Imperial Pilsner at their spring release party on Friday, April 23rd. It will be a 10-12%ABV strong golden lager, with European noble-style hops. We will be having live music, food, and guests from all over the country as they descend on Munster the next day for the D.L. release. Cheers! This is a medium to dark copper lager with caramel malt and nice lager yeast aromas. The flavor is predominately malt with a moderate hop presence in bitterness, flavor, and aroma. Bocks usually have a minimum 16P starting gravity, with The Curse weighing in at 16.4P, yielding a nice 6.3% ABV bock. One last surprise for the evening: Imprompu Pale a 5.3% ABV Pale Ale with plenty of Cascade hops. The day before Dark Lord days is looking awfully good. Enjoy! 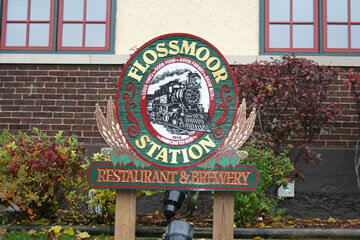 I have start off by saying that I have enjoyed the different IPAs that Flossmoor Station Restaurant & Brewery has put out on what seems to be a bi-monthly basis. Some people don’t like the idea because of the limited release, the limited availability, as well as them not ever making the beer again. air jordan 12 That makes it fun. That makes it worth it. It is the thrill of the hunt. The rarities are what make all hobbies intriguing, wanting, and yes, in some cases, needing. If their weren’t these small releases would people around the country be making long trips and/or turning release days into family vacation? Enough on that topic, let’s go to the reviews. TNBC tonight, should be some good reviews tomorrow. Enjoy! Flossmoor Station Restaurant & Brewery has already started to release (on December 12) their 12 days of Christmas beers. roshe run hyp femmes They will be releasing a new beer each day through the 24th. Each beer will be unique for that day and when it runs out it is out. Day 1: Cinnamon IPA – this is the one I want to try most, but it will be some 10 days when I get the chance. A big list that seems to have something for any holiday palate. I am hoping to make a trip up there on the 23rd or 24th at the end of the run while tasting and reviewing anything that hasn’t run out. Enjoy! Yesterday, while watching football, I decided it was time to taste and review Black Magic IPA by Flossmoor Station Restaurant & Brewing, their latest release in their IPA series. This is only my second beer in the series but I was hooked after the first I had, Celebration IPA, and plan on continuing with the run as long as they keep brewing them. roshe run hyp qs Also, I have special interest in this beer as Rich and I had the chance to taste this on our brewery hop to Flossmoor while it was still in the fermentor. The bomber form of the beer has black metalic wax encasing the cap while giving eager tasters the ability to distinguish it from their other IPA releases. The beer poured black and clear with a huge brown, frothy foam. The nice blend of citrus and floral hops filled my nostrils over and over as I couldn’t stop myself from enjoying the fresh scents of spring that is still far off in Chicagoland. The taste is a contrast as the roasted malt comes to the forefront in the taste while the hops still continue to come through. A slight creaminess on this interesting and refreshing beer. As Flossmoor continues to pump out the IPAs I will be in line for my bottle. I just hope the better ones they maybe bring back on a seasonal rotation. So they would have their one-timers and then a rotational of their best of one-timers. Just a thought. Enjoy!